Belated notification with the passing of retired NEA/DL pilot Captain William King Dustin, age 84. Captain Dustin joined Northeast Airlines 06-09-1958 and retired with Delta Air Lines in 1992, based Boston. He is survived by his wife Anne, their children and grandchildren. Captain Dustin’s obituary notes no services as was his wish. 36 Shore Drive, Laconia NH 03246-3042 .... (603) 527-0933. MEREDITH — William K. Dustin, son of Clifton H. and Ruth (Pulsifer) Dustin, executed his final approach on Nov. 16, 2016, at Forestview Manor in Meredith, at the age of 84. Bill was a native Granite Head, spending his early years in Dover, and graduating from Goffstown High School. After graduating from the University of New Hampshire in 1954, he served three years in the Air Force, flying for the Military Air Transport Service out of Dover, Delaware. He went on to work for Delta Airlines, where he operated heavy equipment, retiring in 1992 after 34 years. He and his wife, Anne, made their home in Hampton during his working years, where they raised five children. They moved to Laconia after retirement. Bill was an avid Boston sports fan, following the Celtics, Red Sox and Patriots. 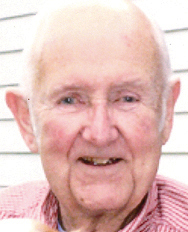 He enjoyed fishing, fly-tying and boating on Lake Winnisquam. Survivors include his wife of 58 years, Anne; son John (Lanie) of Oamaru, New Zealand; daughters Nancy Phillips of Salem, New York, Donna (Rob) Williams of Detroit Lakes, Minnesota, and Debra (Dan) Fuller of Rupert, Vermont; three grandchildren, Tim, Ben and Jamie Phillips of Salem, New York; and Dennis Whitcher, who was like a son to Bill. He was predeceased by his oldest son, James William, in 2012. The family wishes to thank the caring staff at Forestview Manor, most especially, his buddy, Jen, for the kind and compassionate care he received during the past year. In lieu of flowers, donations to the James Dustin Memorial Scholarship at the Maine College of Art, 522 Congress St., Portland, Maine 04101 would be appreciated. In keeping with Bill's wishes, no services are planned.